Is your workforce on the road selling, servicing or delivering? Your drivers are making route decisions on the fly. Help them make better ones. "I've been in the industry for 23 years, I've seen the evolution of route planning, packing, dynamic routes, etc ... but Foxtrot is the transformation, a new way of looking at logistics. It may take a while for everyone to truly grasp how this transforms the last mile." Foxtrot listens to real time variables such as traffic and weather to recommend in real-time the best next stop. Drivers love Foxtrot because it learns from them. Foxtrot shows you the key performance indicators that most influence cost and service level. Every driver decision made on the road dictates your operation's cost and service level. 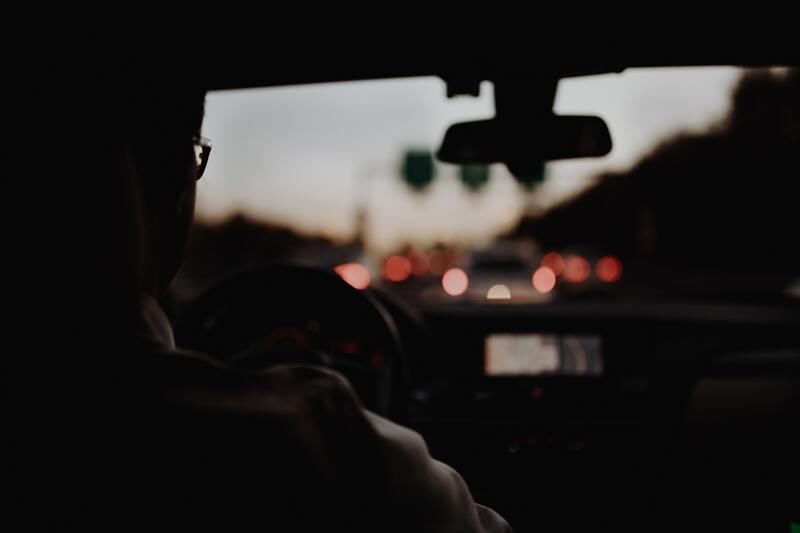 Send us a small number of routes and we'll tell you the cost of your driver's decisions. Integrating & using Foxtrot is a breeze. Integrate into your existing driver app, or use ours off the shelf. 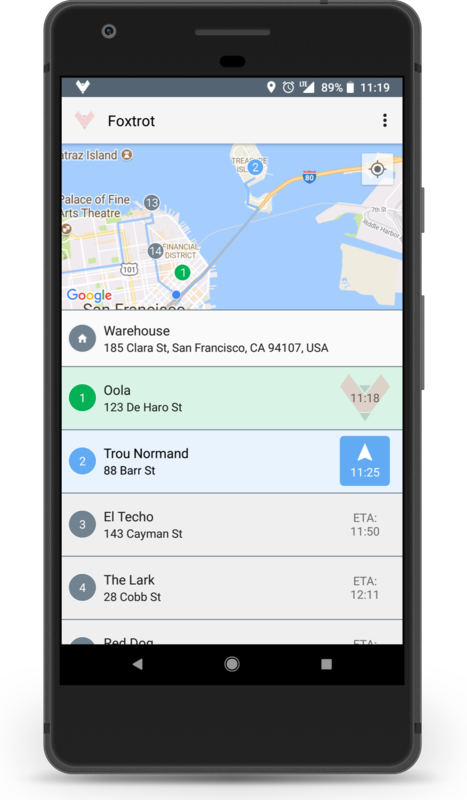 Works in concert with your existing route planner. No telematics hardware required. Just a phone or tablet. No human/dispatch intervention required to re-sequence routes. Born out of MIT and founded in 2014, Foxtrot Systems is a San Francisco based Software as a Service company focused on empowering the future of the supply chain. 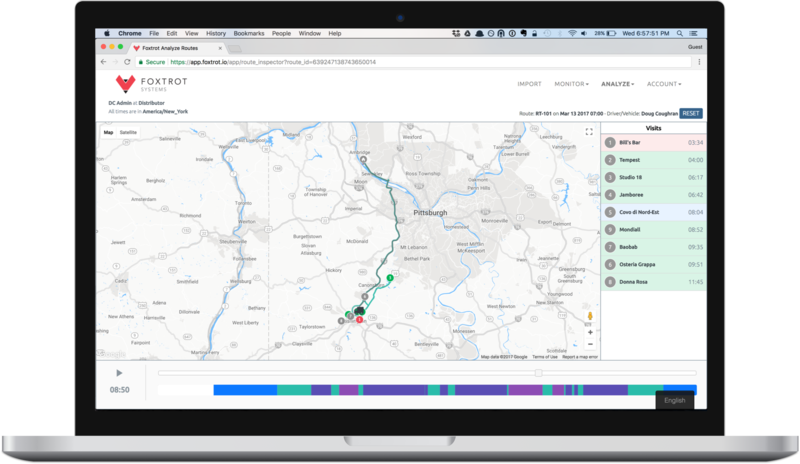 Despite advances in route planning technology and the rapid proliferation of commercial vehicle telematics, today’s “service and delivery” driver remains alone in the field to deal with a highly disruptive environment. It takes only one accident, one unplanned detention or last-minute stop to throw off an entire route. Leveraging advances in cloud computing, machine learning and dynamic optimization, Foxtrot is focused on empowering last mile fleets to both exceed their goals and find new ways to offer differentiated services. Foxtrot represents a unique combination of both the best and brightest of today’s science and engineering talent as well as a collection of industry veterans from market leaders such as Telogis, Omnitracs, Descartes Systems, AT&T and Pepsi. Whether you want to join the team, explore a partnership or learn more about our solution, please don’t hesitate to reach out to us at [email protected]. © Foxtrot Systems, Inc. 2018. All rights reserved.